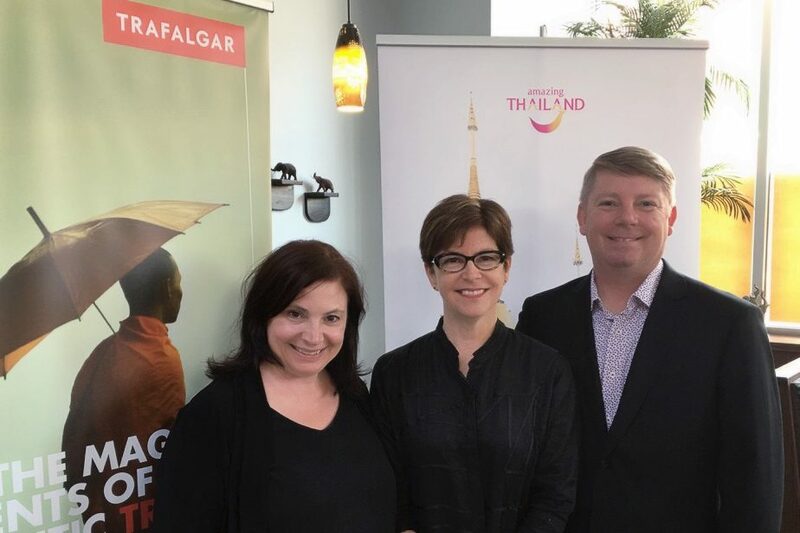 Trafalgar, in partnership with the Tourism Authority of Thailand, recently celebrated Trafalgar’s 2017 Asia Program with trade events in Halifax and Calgary. Travel partners and travel agents in both cities were invited to attend a Thai cooking demo and a special “Be my Guest” meal which included prize giveaways. 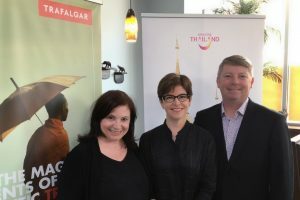 Activities in Calgary and Halifax (pictured) are just two more nationwide events from the long-standing relationship and partnership between Trafalgar and the Tourism Authority of Thailand. A “Be My Guest” experience in Chiang Mai featuring Northern Thai hospitality during a lunch with a local family in their stilt house. Learning the secrets of traditional Thai recipes in a cooking class with a Local Specialist in a Thai-style house with wooden décor and furnishings. Before the start of the class, guests visit a local market to buy fresh ingredients. This Cultural Insight features the exotic fruits and vegetables found in Thailand that are used to prepare a meal. Visiting a coconut palm sugar plantation and discover how the farmer extracts the sap from the palm trees to eventually be turned into sugar. A shopping trip to the famous floating fruit and vegetable market at Damnoen Saduak.